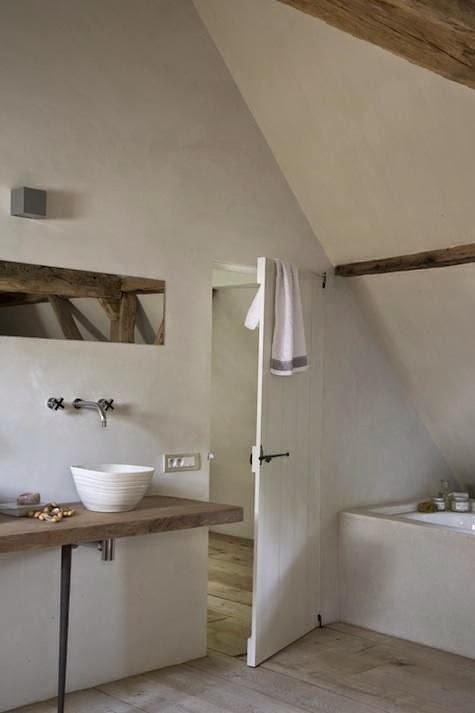 I love the simplicity of this bathroom. 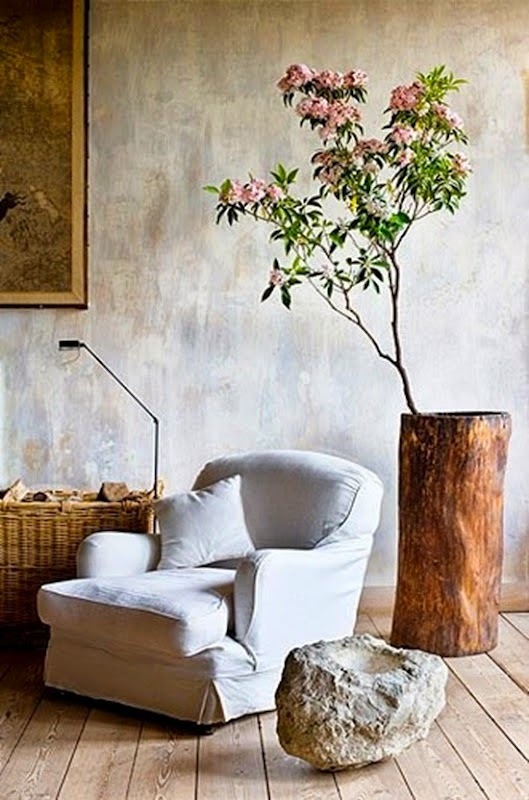 While there's plenty of rustic and organic in this room, I guess the only contemporary feature is really its simple composition. There isn't a lot of clutter here. 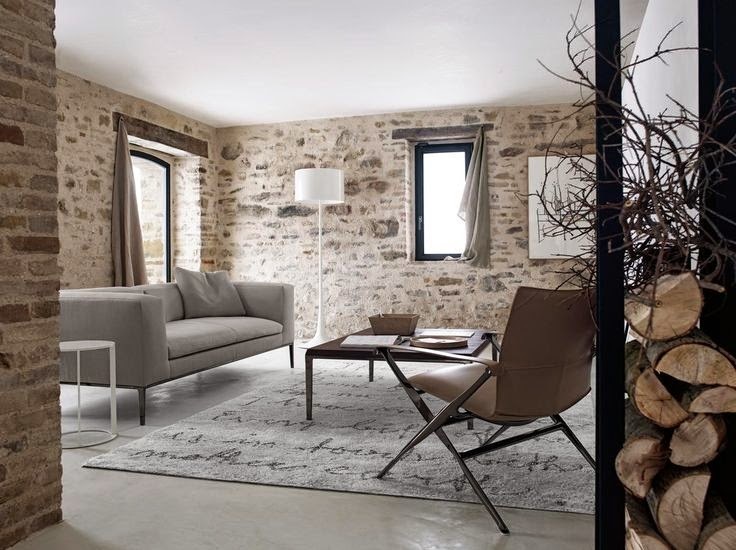 But, white is an ultra-contemporary color, so we might sneak color into the contemporary-features category. 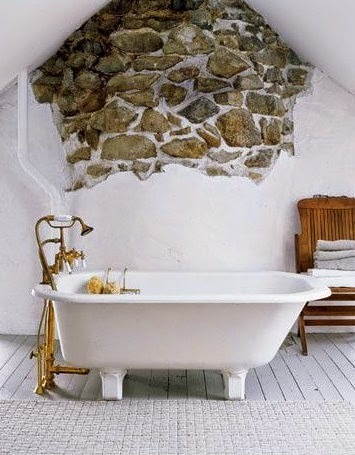 You probably couldn't go wrong with updating the tub in this space: an ultra contemporary one or bath faucet fixture. It would have made a nice juxtaposition with the rustic, organic space. Wow. 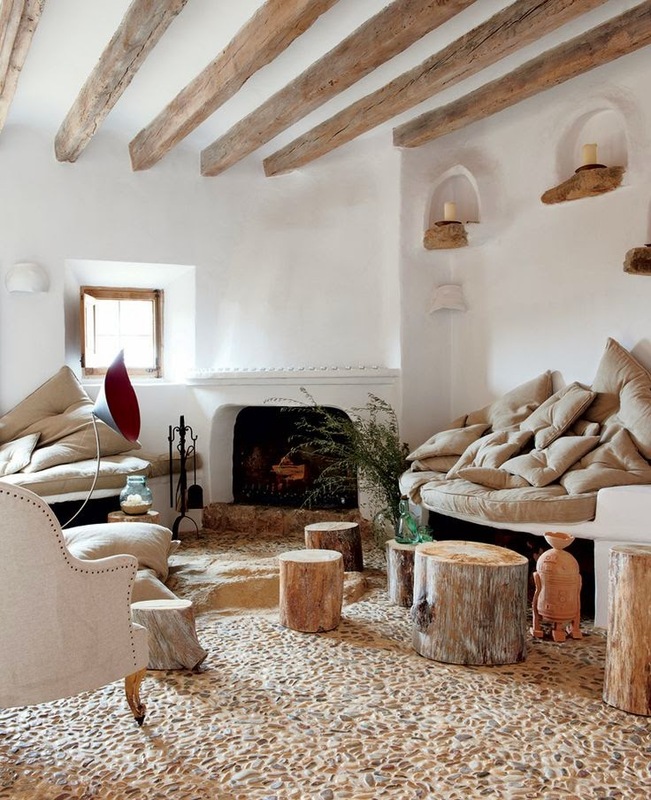 All you need to decorate is a bunch of rocks and some antlers. Not sure I could pull this off in my house, but it works here. Ahhhh. I love this bathroom. 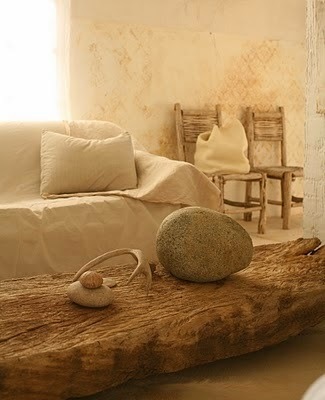 A little Swedish and a bit stark, but it works as another example of organic rustic contemporary chic. I love this room, too. A lot of contemporary going on here. I might opt to go with a more organic, textured rug...not one with the writing. Perhaps a creamy wool with a lot of texture. OK. We don't really need storage for rocks. And I'm not sure those cacti are so happy. But in terms of an artistic display, I love this. 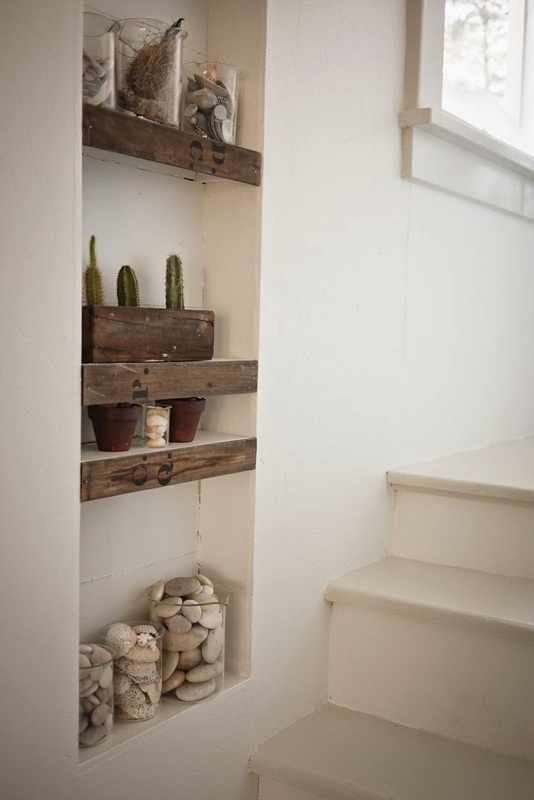 White everything, stairs, floor and windows does help the vignette. I've earmarked this photo for my next kitchen. Love this. Love this, too. But wonder how hard it is to keep that pebble floor clean. How do you clean all of those grouted surfaces? 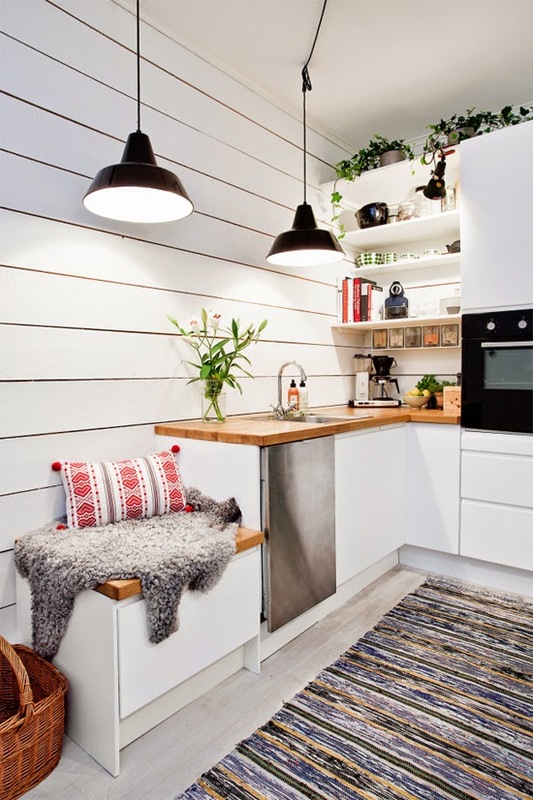 This kitchen looks like it's straight from the IKEA catalog. 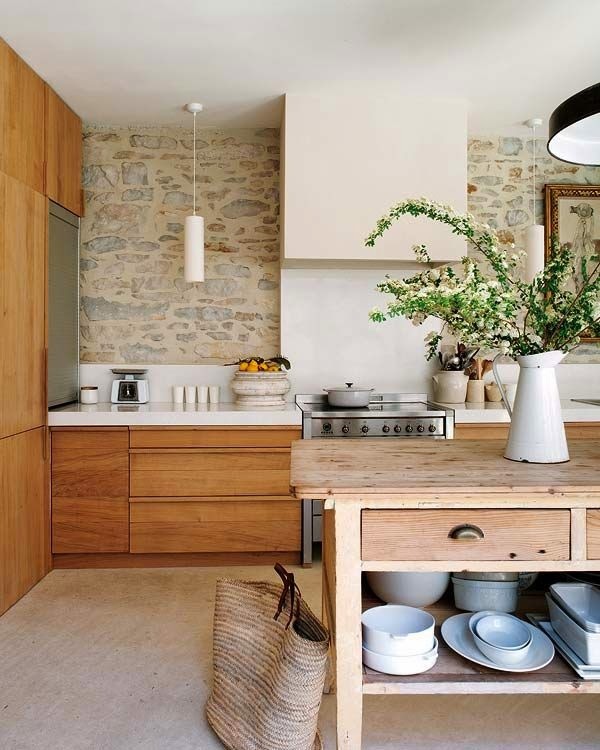 Small, but tidy combo of contempo lights, organic sheep skin and rustic wood countertops. This is rather lacking on the contemporary side. And a little heavy on the organic, rustic. But I still love it. The window is contemporary, however with its clean lines and so is the bowl in the foreground. Perhaps a minimalist modern light fixture somewhere here would reset the balance. 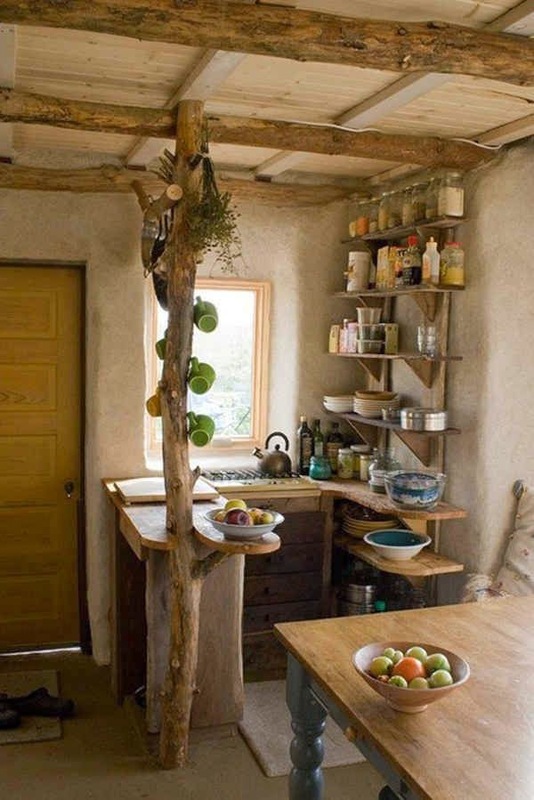 Another example of heavy rustic and organic and not so much contemporary. 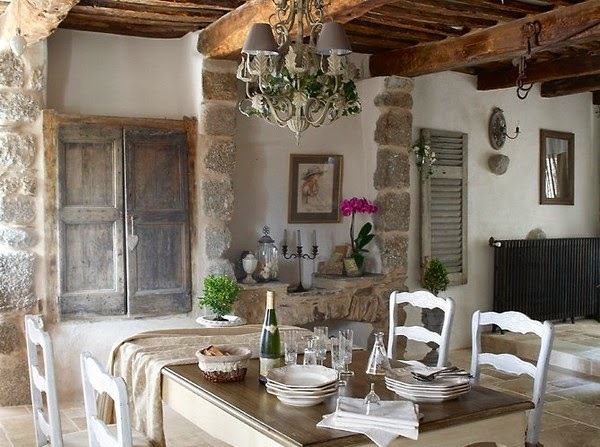 Certainly a great French country look, but think about this room with the addition of a few more contemporary elements, such as clear plastic or white chairs with more modern fixtures. Hmmm. The story and blog you have published is very interesting as well as informatics, Thanks for sharing such type of informatics thing.